Who the hell at Biante signed these off as OK for final production?! 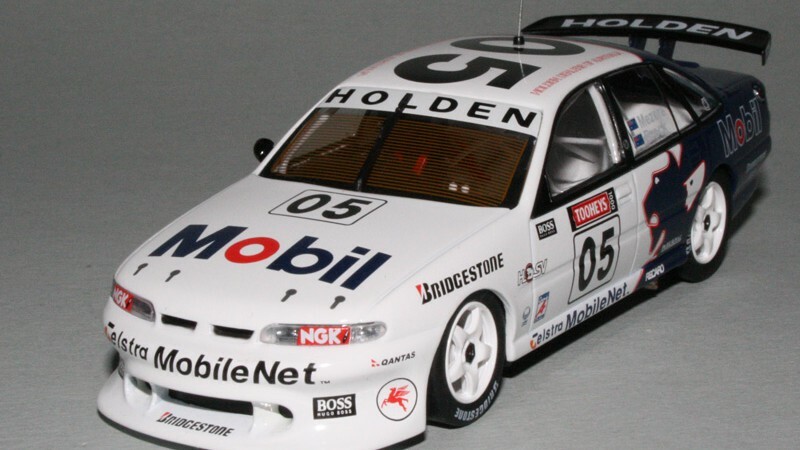 When compared to the earlier VX/VY/VZ Commodore V8 Supercars, the Biante VR/VS models look terrible. 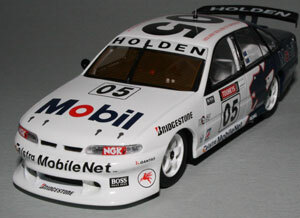 Biante produced 1008 of these Brock/Mezera 1995 Bathurst VR Commodores in 1/43 scale. The narrow stance make them look like a toy play car. Yes, the finish is excellent. Yes, the decoration is fine. Yes, the interior is well detailed. 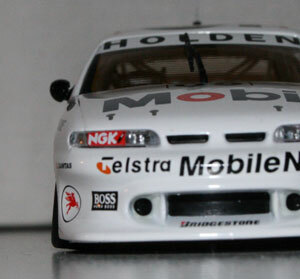 And yes, even the underside looks ok. 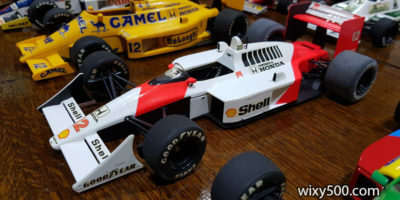 But the skinny-track wheels tucked in far too narrow under the bodywork make these models, which would otherwise look superb, look ridiculous. Underside detail. The wheels simply do not stick out far enough. How could an error of this magnitude get through? Hello? Where are you, rear wheel? It’s a subjective thing, but tyre width/size and how the wheels fit under the body is a major factor in getting the ‘sit’ or ‘attitude’ of the car right. Screw this up and all the other effort to produce a good model is wasted. And that’s exactly what has happened here. 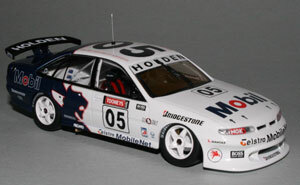 Amazingly, this same problem also afflicted the 1:18 and 1:64 versions of this car. Look any better than the top photo? Hell yeah! My first thought was to simply pull the wheels further out on the axle to achieve a wider track. No way was that going to work as, so I found out later, each end of the axle is knurled making sliding the wheels wider too bloody difficult! The car would have to come apart to make any progress. 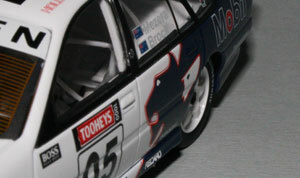 The splitter undertray and fuel tank hide the screws that secure the base plate to the diecast body. Careful prying popped these off, but broke the mounting pins (the production factory uses damn good glue!). My interpretation of an improved Biante VR. Once unscrewed, the model easily comes apart. 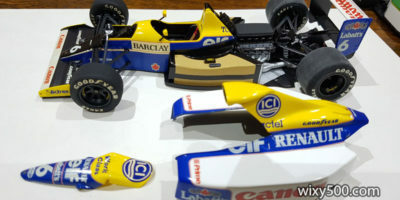 The excellently detailed interior is glued/heat welded into the diecast body and, for what I’m doing, can remain in place. 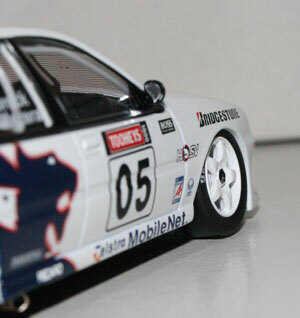 The rear tyres were removed from the rims so I could get a good grip. After much heave-ho, the wheels finally came off the axle. I was able to then push the rims back on the axle, but not all the way home so as to get a wider stance. A spot of glue was used to stop the axle from floating left to right due to the extra free-play that resulted. After the trouble with the rear, I decided to try a different approach to the front. I simply cut the axle in the middle and glued the two halves to the base plate, but with a gap between them that widened the track by almost 4mm. The added benefit of this technique was I could now get some negative camber on the front wheels. The Biante VR finally looks the goods! After getting the ‘sit’ of the VX/VY/VZ so right, it’s amazing Biante got the VR/VS so wrong. 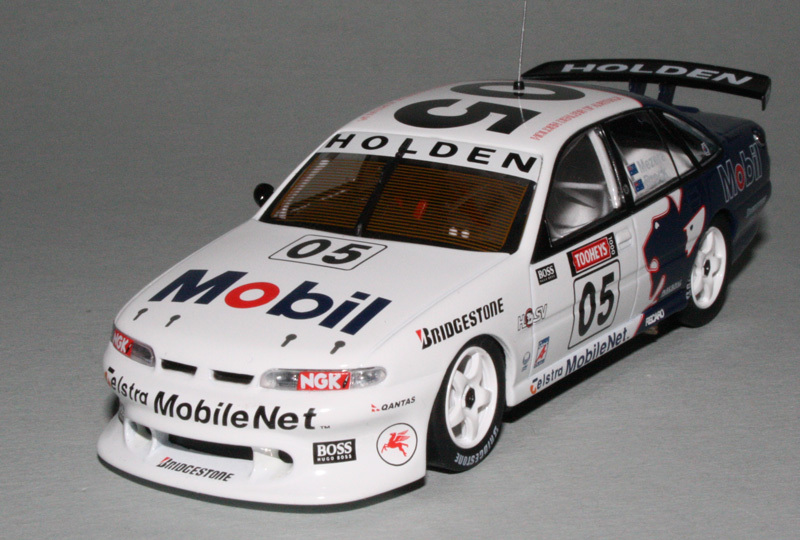 Thankfully they’ve got their VE V8 Supercar looking great, and certainly much better than the equivalent from Classics.